The RULA Digital Repository is Ryerson’s institutional repository for collecting, preserving, and providing online access to research and teaching materials created by the Ryerson community. Content is openly available to anyone on the web. You can find theses, dissertations, articles, technical reports, working papers, conference papers, etc. within the repository. By archiving your article in the RULA Digital Repository, or any open access repository, your research will have increased visibility, usage, and impact. By making your article open access via the RULA Digital Repository, you will help to provide equitable access to materials that only wealthy nations and institutions are able to afford. For more information please contact Brian Cameron. 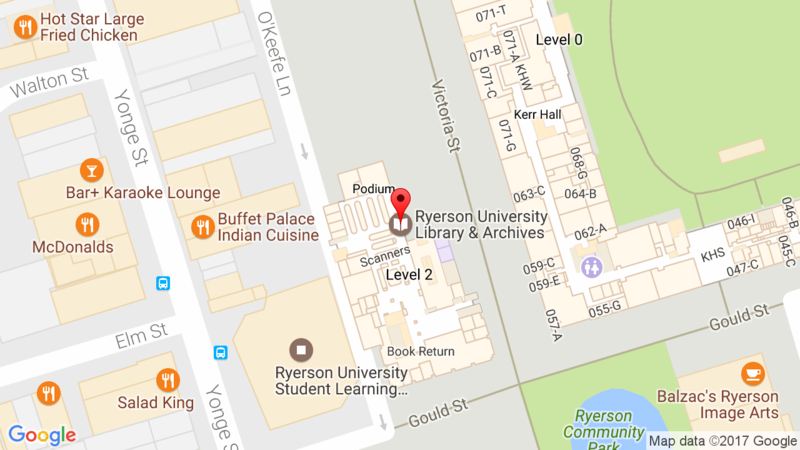 If you have unpublished work, conference papers etc., the RULA Digital Repository repository can act as a medium to provide open access to research you have done while at Ryerson. When submitting an article for publication to commercial publishers, consider reserving rights to post material to the RULA Digital Repository when signing publishers agreements. This is now a common practice among academics, but you usually have to ask the publisher to receive this right in your contract. For more information about copyright, please our copyright pages. Learn how to submit to the RULA Digital Repository.